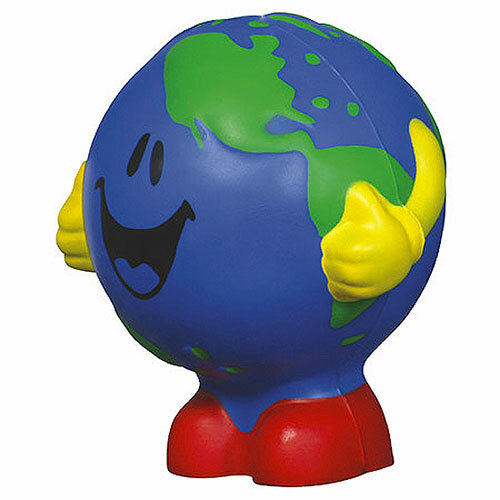 Smiley Earth Man Stress Ball takes the stress out of global issues. A great promotional product for travel, trade, conservation and other global related industries. A custom Stress Ball or stress reliever imprinted with your logo or message.These work great as promotional giveaways, keeping your logo right under their finger tips. When things get stressful, nothing is more relaxing than squeezing a custom printed promotional stress reliever, or a logo stress ball.